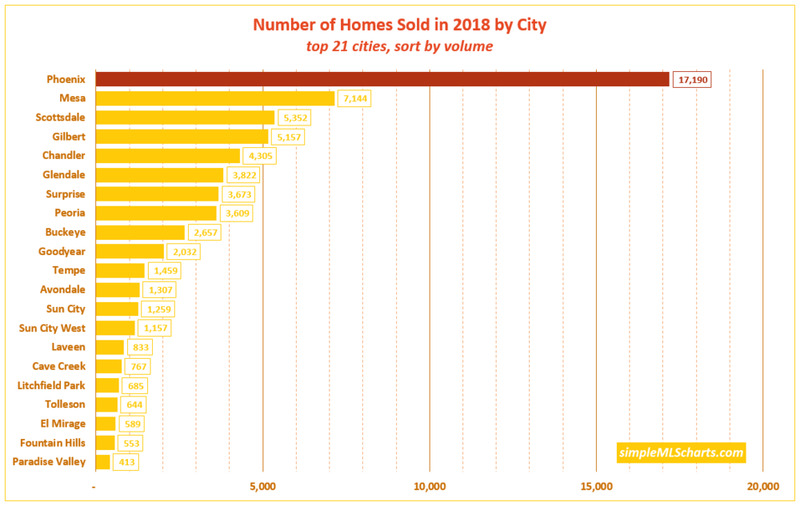 Homes sold at or above $1,000,000. 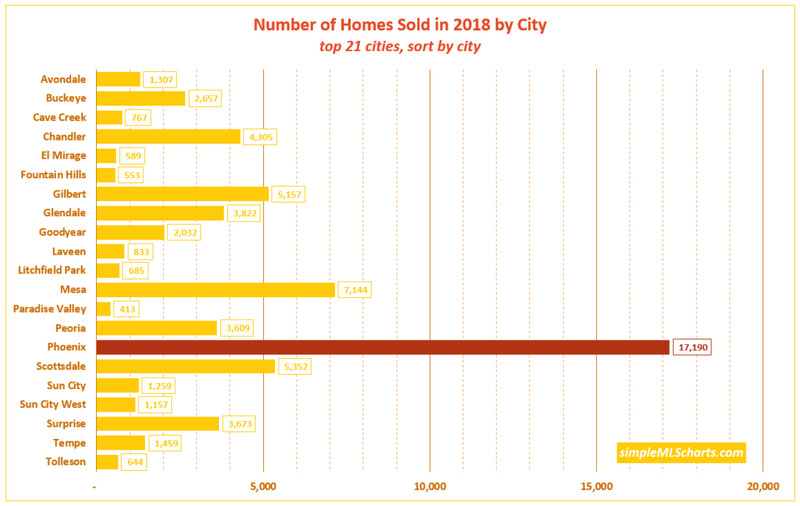 The cities where these sales makes up about 10% or more of the total market. 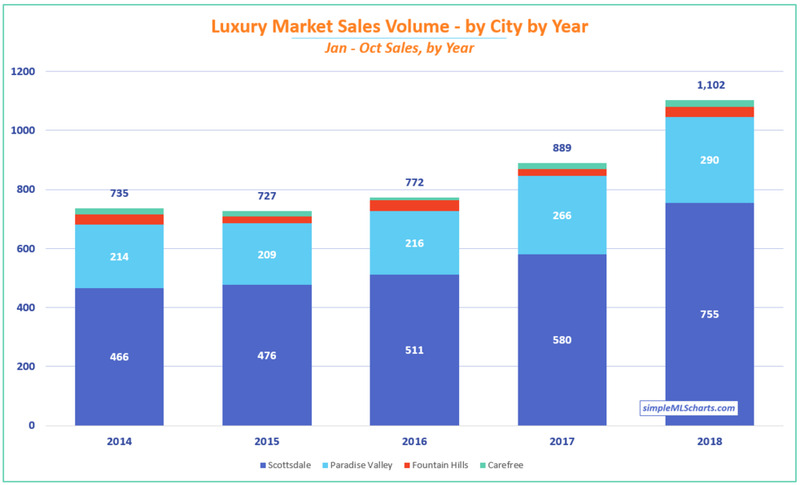 Yes - Phoenix, Gilbert, Mesa, Chandler (and possibly Peoria) have more million-dollar sales than Carefree, but those luxury sales are a fraction of a percentage of the overall market. 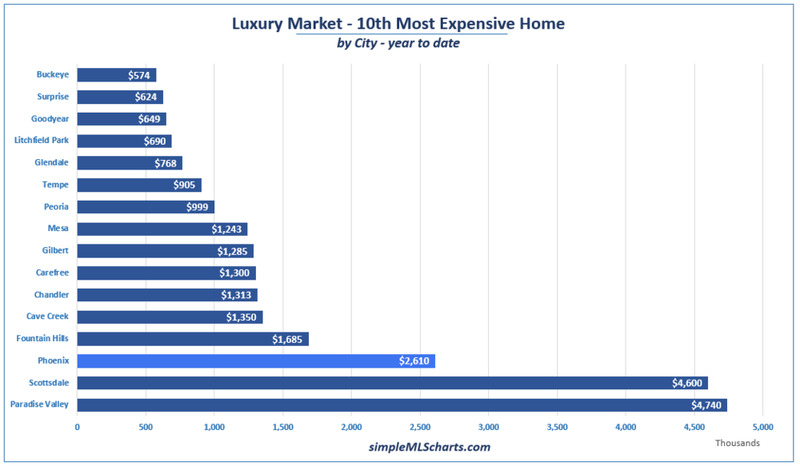 They are not “luxury market cities” - at least not in my opinion, and I’m the one making the chart! YTD through October, there have been 24% more million-dollar homes sold than last year, and 43% more than 2 years ago. Wow! Part of this is because prices have been increasing; homes that were in the $900,000-range last year are now being priced at $1,000,000. But part of this is also because more people are willing and able to spend/invest that much money in their house. 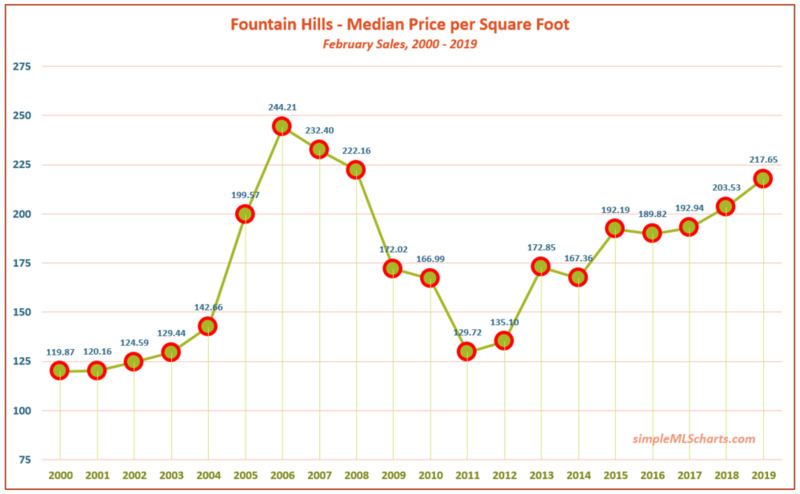 I don’t want to sound pessimistic and bearish, but what’s the upward limit on luxury homes in the Greater Phoenix area, and will this rising tide continue to lift all boats? 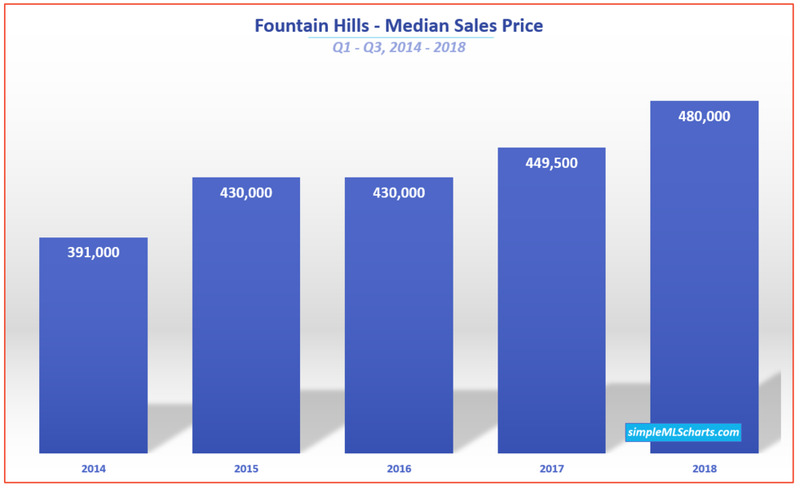 The Median Sales Price in Fountain Hills was $480,000 through the first 9 months of 2018. That’s up 6.7% year over year and 23% since 2014.